Maddak Peg-It Therapeutic Tool presents a new concepts relating to fine motor and perceptual motor skills. It serves as a research, evaluation, treatment, and therapeutic tool in a comprehensive and portable format. 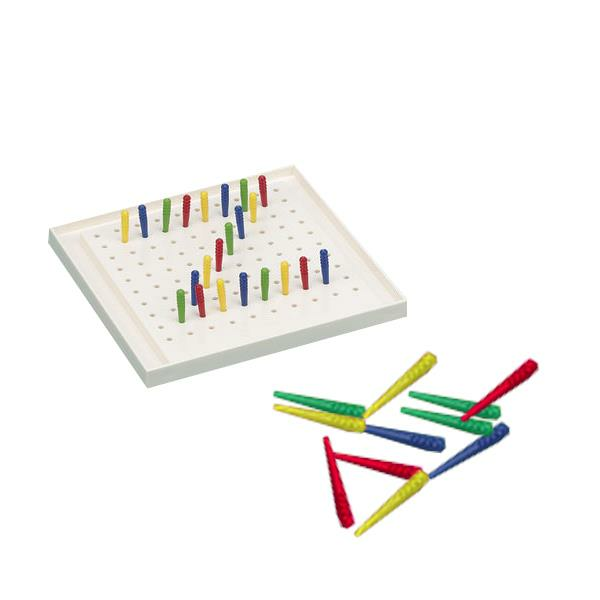 It can be used as a treatment tool for upper extremity and visual perceptual skills. How many reproducible designs does this pegboard come with? Do they increase/vary in difficulty? Thank you for reaching out to us. There are 6 designs. I was told you can make your own designs to use with the pegs.